Armenian Genocide denial is the act of denying the planned systematic genocide of 1.5 million Armenians during World War I, conducted by the Ottoman government. As a form of denialism, it can be compared to similar negationist historical revisionisms like Holocaust denial and Nanking Massacre denial. The Armenian Genocide is almost unanimously acknowledged as a historical fact by historians and genocide scholars alike. It's also widely considered to have been the first modern genocide, with the word genocide itself having been invented by Raphael Lemkin to describe the sheer scale and success of the plan organized to systematically eliminate the Armenians. Revisionists typically argue the academic consensus of it being a genocide as anti-Turkish propaganda or as a conspiracy spread by the Armenians, instead claiming that it either did not occur or that it was somehow justified at the time. Genocide denial, including that of the Armenian Genocide, is officially outlawed in Switzerland, Greece, Cyprus and Slovakia. Currently, only the governments of Turkey and Azerbaijan deny that there was an Armenian genocide. Many other countries, most controversially the United States (pressured by both the Turkish lobby and Anti-Defamation League) and Israel, have deliberately avoided officially recognizing it as a genocide to avoid harming relations with Turkey. The Turkish government has spent millions on Washington lobbying over the past decade, much of it focused on the Armenian genocide issue, and has in the past threatened politicians from other countries with strong retaliation to prevent them from using the word genocide. The Turkish regime has also been accused of attempting to intimidate and silence foreign investigative journalists and genocide scholars. According to historian Yair Auron, "there can be no doubt about the fact of [Armenian] genocide itself. In this sense, the denial of the Armenian genocide is very similar to the denial of the Holocaust." Of the notable scholars that dispute its designation, Bernard Lewis, Stanford Shaw and Guenter Lewy acknowledge the historical event and its implications but reject a genocidal intent in favor of "uniqueness" of the Holocaust as only true genocide. Justin McCarthy, Heath Lowry and Eberhard Jäckel reject the designation altogether, and have met much criticism and accusations from other scholars as promoting Armenian Genocide denial. The term "genocide" was coined by the Polish Jew Raphael Lemkin in 1943, who, with the full extent of the Holocaust not yet being known at the time, used it to describe what he had heard about the Armenian Genocide. In a 1949 CBS interview with Quincy Howe, Lemkin explained, "I became interested in Genocide because it happened so many times. It happened to the Armenians, then after the Armenians, Hitler took action." Turkish denialists claim that the "intent to destroy" clause of the Genocide Convention has not been met, and that it is therefore not a genocide. After vague claims made by a speaker from the United Kingdom, Geoffrey Robertson, a noted British barrister and specialist in the field of human rights, observed that the British government refused to acknowledge the Armenian Genocide by saying that evidence for it was "not sufficiently unequivocal". He pointed out that this phrase 1) was an oxymoron and 2) represented an invented standard of proof. He explained: "There are only two standards of proof in UK law: the civil standard (on the balance of probabilities; i.e. more likely than not) and the criminal standard (beyond reasonable doubt)". He further observed that recent British governments have not taken into account that the terms used by the British government of the time in referring to 1915 entirely anticipated the modern definition of genocide and that the drafters of the Genocide Convention had 1915 in mind when drafting the new international crime. Currently, regarding the activities performed under Tehcir Law, May 1915, the Republic of Turkey rejects the use of the word "deportation" and "refugee". Turkey instead uses the words "relocation" and "immigrant," respectively. Turkey claims in its state-supported Views Against Genocide Allegations that all the destination regions were within the Ottoman Empire's borders, and that the Ottoman government recognized these "immigrants" as its citizens and took extensive measures to record the type, quantity, and value of their property, as well as the names of the owners and where they were sent. The Ottoman Empire wanted to remove the threat of Armenian resistance and the Turkish authorities today hold the position that the deaths incurred by Armenians as a whole were the result of the turmoil of World War I and that the Ottoman Empire was fighting against Russia, Armenian volunteer units, and the Armenian militia. However, the Armenians had neither a police force nor an army. Heather Rae noted that scholars have long been denied access to Ottoman archives, which Turkish sources often refer to in their works. In the late 1980s access was granted to some archives by the Turkish government, but it appears that the material was limited and the government took a very selective approach to who was allowed to study the material. Historian Taner Akcam also writes about the "careful selection" of Ottoman archive materials. "While we are missing a significant portion of these papers, what remains in the Ottoman archives and in court records is sufficient to show that the CUP Central Committee, and the Special Organization is set up to carry out its plan, did deliberately attempt to destroy the Armenian population". According to McCarthy, the genocide was a two sided battle: "when they [the Armenians] advanced victoriously under the protection of the Russian Army, the same spectacle occurred as in 1915, but this time it was Turks who were attacked by Armenians, aided and possibly commanded and directed by Russia. The Turkish authorities maintain the position that the Ottoman Empire did not exercise the degree of control which the opposing parties claim. Turkey accepts that there were Armenian deaths as a result of Ottoman decisions, but states that the responsible Ottoman bureaucrats and military personnel were tried. Bernard Lewis believes that what he names the "tremendous massacres" were not "a deliberate preconceived decision of the Ottoman government." Turkish scholars and other denialists reject the academic consensus of up to 1.5 million Armenian deaths attributed to the genocide. McCarthy calculated an estimate of the pre-war Armenian population, then subtracted his estimate of survivors, arriving at a figure of less than 600,000 for Armenian casualties for the period 1914 to 1922. However, in a more recent essay, he projected that if the Armenian records of 1913 were accurate, 250,000 more deaths should be added, for a total of 850,000. The Turkish authorities have put forth certain conditions before attempting to reconcile with Armenia. Turkey closed its border with Armenia in 1993 following the Nagorno-Karabakh War between Armenia and Turkic-speaking Azerbaijan. The borders have remained closed because the Nagorno-Karabakh dispute has not been settled to this day. In 2005 Turkish Prime Minister Recep Tayyip Erdoğan invited Turkish, Armenian and international historians to form a commission to reevaluate the events of 1915 by using archives in Turkey, Armenia and other countries. Armenian president Robert Kocharian responded, "Your proposal to address the past can't be effective if it does not refer to the present and the future. To start an effective dialog, we should create a favorable political environment. The governments are responsible for the development of bilateral relations, and we have no right to delegate that responsibility to the historians. Thus, we have proposed and we again propose to establish normal relations between our countries without preconditions. In this regard, an inter-governmental commission can be formed to discuss the outstanding issues to resolve them and maintain mutual understanding." The Concerned Scholars and Writers says the Turkish government attempts "to sanitize its history now include the funding of chairs in Turkish studies – with strings attached – at American universities". Many references that cite genocidal intent use the "Talat Pasha telegrams", which are a series of documents by the Interior Minister Mehmed Talat Pasha, to constitute concrete evidence that the deaths were implemented as a state policy. Pasha was tied to the "Kill every Armenian man, woman, and child without concern" order in these documents. The 69 American historians – the "Lewis Affair"
On 19 May 1985, The New York Times and The Washington Post ran an advertisement in which a group of 69 American historians called on Congress not to adopt the resolution on the Armenian Genocide. Bernard Lewis, along with Heath Lowry, was among them and so the case was named after him. The advertisement was paid for by the Committee of the Turkish Associations. Both Lewis and Lowry have been included among the key deniers of the Armenian Genocide. According to Roger W. Smith, Eric Markusen and Robert Jay Lifton, Lowry was also advising on how to prevent mention of the Armenian Genocide in scholarly works, and was discovered ghost writing for the Turkish ambassador in Washington on issues regarding the Embassy's denial of the Armenian Genocide. The Armenian Assembly of America found that many or most of the 69 academics apparently benefited directly or indirectly from Turkish government research grants. According to Yair Auron, an Israeli historian, scholar and expert specializing in Genocide studies and racism, this advertisement is a good example of one of many Turkish attempts to influence academia, a project on which Turkey spends enormous funds. After publication of the statement, professor Gérard Chaliand of Paris V – Sorbonne University expressed disappointment that Lewis had signed. Lewis responded that the statement was an attempt to avoid damaging Turkish-American relationships and that it included a call for Turkey to open its archives, but the former was not mentioned in the statement. Some of the other signatories confessed later that there are deliberate attempts by the Turkish government and its allies to muddle and deny the issue. Others confirm that there have been massacres but say they avoid the use of the term Genocide. However, Henry Morgenthau Sr. wrote that "When the Turkish authorities gave the orders for these deportations, they were merely giving the death warrant to a whole race; they understood this well, and, in their conversations with me, they made no particular attempt to conceal the fact." In October 2000, when the House of Representatives of the US was to discuss the resolution on the Armenian Genocide, Turkish politician Şükrü Elekdağ admitted that the statement had become useless because none of the original signatories besides Justin McCarthy would agree to sign a new, similar declaration. One of the 69 signatories of the 1985 statement to the US Congress was Donald Quataert. He resigned from the position of the chairman of the board of directors of the Institute of Turkish Studies, which he had held since 2001. As he announced, he had to resign due to the pressure of the Turkish ambassador Nabi Shensoy after he characterised the massacres of Armenians in Turkey as genocide. Shensoy rejected the allegations. Quataert's resignation created a scandal among the academia and a number of members of the board of directors of the Institute resigned as well after the announcement. Mervat Hatem the director of Middle East Studies Association addressed the Prime Minister of Turkey Erdogan a harsh letter, whereby he expressed grave concerns with the announcements of Turkish officials to stop the financing of the Institute if Quataert didn't renounce his assessments publicly. Hatem also noted, that "the resignations are in contradiction with those many requests to leave the discussion and the assessment of the Armenian Genocide to the academia (instead of discussing it on the political arena) that Turkey has been making." According to the announcement by Quataert, the members of the board of directors on the Institute of Turkish Studies were surprised to find out, that the funding of the institute by Turkey is not a sign of trust but a gift, that can be annulled at any moment. Officially the state of Israel neither recognizes nor denies the Armenian Genocide. The attempts of Israeli left-wing and centrist parties like Meretz and Kadima to put the discussion on Armenian Genocide on the Knesset's agenda were fervently attacked by the Israeli right-wing nationalist parties. Far-right party Yisrael Beiteinu (Israel Our Home) claims that Genocide discussions would jeopardise Israel-Azerbaijan and Israel-Turkish relations and hurt close economic and military cooperation with them. These two countries are essential for Israel's regional policy and interests in delegitimizing Iran. Far-right parties in Israel have attacked comparison of the Armenian Genocide with the Holocaust. In 2008, Yosef Shagal, an Azerbaijani Jew and now retired Israeli parliamentarian from Israel Our Home stated in an interview to Azerbaijan media (which officially denies the genocide): "I find it deeply offensive, and even blasphemous to compare the Holocaust of European Jewry during the Second World War with the mass extermination of the Armenian people during the First World War. Jews were killed because they were Jews, but Armenians provoked Turkey and should blame themselves." The differences between the holocaust and the Armenian massacres are less important than the similarities—and even if the Armenian case is not seen as a holocaust in the extreme form which it took towards Jews, it is certainly the nearest thing to it. According to the Encyclopedia of Genocide and Crimes Against Humanity, the denial of Armenian genocide is "the most patent example of a state's denial of its past". Historians mark that "the genocide of the Armenians has been denied to this day by successive Turkish governments, with the exception of the short-lived imperial government that existed between the end of World War I and the ascendance of the Kemalist nationalist regime in the early 1920s." To deny the Armenian genocide "is like Holocaust denial, " notes Gregory Stanton, vice president of the International Association of Genocide Scholars and president of Genocide Watch. Some semi-official Turkish narratives now claim, in effect, that the Armenians actually carried out genocidal attacks on the Turks. Neo-Nazis and their scholarly enablers say that "the Jews" manufactured tall tales of the Holocaust in order to extort money and other concessions from postwar Germany. Neo-Confederates like Doug Wilson, a far-right pastor in Moscow, Idaho, tell their listeners with a straight face that the Civil War was nothing less than a defense of righteous Christian civilization and that blacks really didn't mind slavery. These lies all serve current agendas — to demonize and minimize the historical claims of Armenians, Jews, and African Americans. Colin Tatz, Professor of Macquarie University, considers the nature of Turkish denial industry as "pernicious, outrageous and continued": "Here is a modern state, totally dedicated, at home and abroad, to extraordinary actions to have every hint or mention of an Armenian genocide removed, contradicted, explained, countered, justified, mitigated, rationalised, trivialised and relativised." In their book Criminological Perspectives, E. McLaughlin, J. Muncie and G. Hughes conclude: "If the Turkish government can deny that the Armenian genocide happened; if revisionist historians and neo-Nazis deny that Holocaust took place; if powerful states all around the world today can systematically deny the systematic violations of human rights they are carrying out – then we know that we're in bad shape". In 1990, psychologist Robert Jay Lifton received a letter from the Turkish Ambassador to the United States, questioning his inclusion of references to the Armenian Genocide in one of his books. The ambassador inadvertently included a draft of a letter, presented by denier Heath W. Lowry, advising the ambassador on how to prevent mention of the Armenian Genocide in scholarly works. Lowry was later named to the Atatürk chair of Ottoman Studies at Princeton University, which had been endowed with a $750,000 grant from the Republic of Turkey. The incident has been the subject of numerous reports as to ethics in scholarship. Another source notes: "In order to institutionalize this campaign of denial and try to invest it with an aura of legitimacy, a "think-tank" was established in Ankara in April 2001. 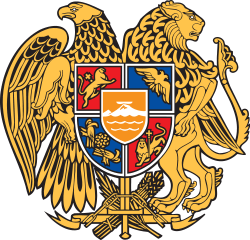 Operating under the name "Institute for Armenian Research" as a subsidiary of The Center For Eurasian Studies, with a staff of nine, this new outfit is now proactively engaged in contesting all claims of genocide by organizing a series of conferences, lectures, and interviews, and above all, through the medium of publications, including a quarterly". Since the 1980s, the Turkish government has supported the establishment of "institutes" affiliated with respected universities, whose apparent purpose is to further research on Turkish history and culture, but which also tend to act in ways that further denial. The Armenian genocide is a contemporary current issue, given the persistent aggressive denial of the crime by the Turkish government-not withstanding its own judgment in courts martial after the first World War, that its leading ministers had deliberately planned and carried out the annihilation of Armenians, with the participation of many regional administrators. The government of Turkey has channeled funds into a supposedly objective research institute in the United States, which in turn paid the salary of a historian who served that government in its campaign to discredit scholarship on the Armenian genocide. "Given the indisputable documentary record of the Armenian genocide, it would appear that at least some of those who refuse to go on record recognizing Turkey's genocide of Armenians are, like those who refuse to recognize Germany's genocide of European Jews, motivated by ignorance and bigotry", claims American scholar Stephen Zunes. On June 9, 2000, in a full-page statement in The New York Times, 126 scholars, including Nobel Prize-winner Elie Wiesel, historian Yehuda Bauer, and sociologist Irving Horowitz, signed a document "affirming that the World War I Armenian genocide is an incontestable historical fact and accordingly urge the governments of Western democracies to likewise recognize it as such." Wiesel himself has repeatedly called Turkey's 90-year-old campaign to cover up the Armenian genocide a double killing, since it strives to kill the memory of the original atrocities. When it comes to the historical reality of the Armenian genocide, there is no "Armenian" or "Turkish" side of the "question, " any more than there is a "Jewish" or a "German" side of the historical reality of the Holocaust: There is a scientific side, and an unscientific side acknowledgment or denial. In the case of the denial of the Armenian genocide, it is even founded on a massive effort of falsification, distortion, cleansing of archives, and direct threats initiated or supported by the Turkish state, making any "dialogue" with Turkish deniers highly problematic. Philip L. Kohl and Clare Fawcett write that the "Armenian cultural remains in neighboring Turkey are frequently dismissed or referred to as "Ottoman period" monuments", and that the continued denial of the state-sponsored genocide is "related to these practices". According to Taner Akçam, Turkey "tried to erase the traces of a recent past that had become undesirable" through a series of reforms, so the collective memory "was replaced by an official history written by a few authorised academics, which became the sole recognised reference. Events prior to 1928 and the writings of past generations became a closed book." In a lecture he delivered in June 2011, Akçam stated that he was told by a Turkish foreign ministry official that the Turkish government was trying to bribe historians and academics in the United States to deny the Armenian Genocide. Though he did not make any direct accusations, he noted the timing between what his source said with the recent publication of American historian Michael M. Gunter's book Armenian History and the Question of Genocide. He also raised the point that the four individuals who praised Gunter's book – Hakan Yavuz of University of Utah, Guenter Lewy of University of Massachusetts, Jeremy Salt of Bilkent University, Ankara, and Edward J. Ericson of Marine Corps Command & Staff College, Virginia – "are well known for their denialist position and works regarding the genocide of 1915." Some countries, including Cyprus have adopted laws that punish genocide denial. In October 2006, the French National Assembly, despite opposition from foreign minister Philippe Douste-Blazy, passed a bill which if approved by the Senate and would make Armenian Genocide denial a crime. On October 7, 2011 French President Nicolas Sarkozy said that Turkey's refusal to recognize the genocide would force France to make such denials a criminal offense. On December 22, 2011, the lower house of the French legislature approved a bill making it a crime (punishable by a year in prison and a fine of 45,000 euros) to publicly deny as genocide the killing of Armenians by troops of Turkey's former Ottoman Empire. On January 23, 2012, the French Senate adopted the law criminalizing genocide denial. However, on February 28, 2012, the Constitutional Council of France invalidated the law, stating, among other things, that it curbs freedom of speech. After that the French President Sarkozy has called on his cabinet to draft new legislation to punish those who deny that the mass killing of Armenians by Ottoman troops is a genocide. In 2016 the French Parliament completely adopted the new bill criminalizing the Armenian Genocide denial. The first person convicted in a court of law for denying the Armenian genocide is Turkish politician Doğu Perinçek, found guilty of racial discrimination by a Swiss district court in Lausanne in March 2007. At the trial, Perinçek denied the charge thus: "I have not denied genocide because there was no genocide.". After the court's decision, he said, "I defend my right to freedom of expression." Ferai Tinç, a foreign affairs columnist with Turkey's Hürriyet newspaper, commented, "we find these type of [penal] articles against freedom of opinion dangerous because we are struggling in our country to achieve freedom of thought." Perinçek appealed the verdict. In December 2007, the Swiss Federal Court confirmed the sentence given to Perinçek. Perinçek then appealed to the European Court of Human Rights, and in 2013 the Court ruled that Perinçek's freedom of expression, as enshrined in Article 10 of the European Convention on Human Rights, had been violated. The European Court of Human Rights's Grand Chamber ruled in favour of Perinçek on 15 October 2015. (see Perinçek v. Switzerland). In October, 2008 the Swiss court ruled that three Turks were guilty of racial discrimination after having claimed that the Armenian Genocide was an "international lie." The European representative of the Party of Turkish Workers, Ali Mercan, was sentenced to pay a fine of 4,500 Swiss francs ($3,900), two others were ordered to pay 3,600 Swiss francs. In October 2010, the Swiss Federal Court confirmed the verdict. In November 1993 American historian Bernard Lewis said in an interview that calling the massacres committed by the Turks in 1915 a genocide was just "the Armenian version of this history". In a 1995 civil proceeding a French court censured his remarks as a denial of the Armenian Genocide and fined him one franc, as well as ordering the publication of the judgment at Lewis' cost in Le Monde. The court ruled that while Lewis has the right to his views, they did damage to a third party and that "it is only by hiding elements which go against his thesis that the defendant was able to state that there was no 'serious proof' of the Armenian Genocide; consequently, he failed in his duties of objectivity and prudence by expressing himself without qualification on such a sensitive subject". In the 6 June 2005 edition of Time Europe, the Ankara Chamber of Commerce included—along with a tourism in Turkey advertisement—a DVD containing a 70-minute presentation denying the Armenian Genocide. Time Europe later apologized for allowing the inclusion of the DVD and published a critical letter signed by five French organizations. The apology stated that the DVD had not been adequately reviewed by anyone at Time Europe because it was believed to be a benign promotion piece, and that it would not have been distributed if the magazine had been aware of its content. The magazine described the DVDs contents as a "so-called documentary" that "presents a one-sided view of history that does not meet our standards for fairness and accuracy". The February 12, 2007 edition of Time Europe included a full-page announcement and a DVD of a documentary about the Armenian Genocide by French director Laurence Jourdan, with an interview with Yves Ternon. ↑ Ferguson, Niall. The War of the World: Twentieth-Century Conflict and the Descent of the West. New York: Penguin Press, 2006, p. 177. ISBN 1-59420-100-5. ↑ "A Letter from The International Association of Genocide Scholars". Archived from the original on 16 April 2006. Retrieved 2006-04-16. CS1 maint: BOT: original-url status unknown (link) June 13, 2005. ↑ "Senate Resolution 106 – Calling on the President to ensure that the foreign policy of the United States reflects appropriate understanding and sensitivity concerning issues related to Human Rights, Ethnic Cleansing, and Genocide Documented in the United States Record relating to the Armenian Genocide". Library of Congress. ↑ Lomsadze, Giorgi (10 September 2014). "Greece Bans Denials of Armenian Genocide". EurasiaNet. Open Society Institute. Archived from the original on 19 September 2014. ↑ "Armenia praises Greece for law banning denial of genocide". Kathimerini. 10 September 2014. Archived from the original on 19 September 2014. 1 2 "Cyprus criminalizes denial of 1915 Armenian genocide by Turks". Reuters. 2 April 2015. ↑ "History News Network - Christopher Hitchens: Turkey Denies History". hnn.us. ↑ "Радио Свобода: Наши гости: Факты и мнения". svoboda.org. ↑ "Q&An Armenian 'genocide'". BBC. 12 October 2006. Retrieved 29 December 2006. ↑ "Armenia-Turkey dispute over genocide label sets off lobbying frenzy". The Washington Post. March 3, 2010. ↑ Whitehorn, Alan (2015). The Armenian Genocide : the essential reference guide. Santa Barbara, California: ABC-CLIO, an imprint of ABC-CLIO, LLC. p. 27. ISBN 1610696883. ↑ Bartrop, Paul (2015). Modern genocide : the definitive resource and document collection. Santa Barbara, California: ABC-CLIO. p. 135. ISBN 1610693647. ↑ Yair Auron, The Banality of Indifference: Zionism and the Armenian Genocide. Transaction Publishers, 2000, p. 53. ISBN 0-7658-0881-1. ↑ "A PBS Documentary Makes Its Case for the Armenian Genocide, With or Without a Debate". The New York Times. 2006. Retrieved 1 November 2011. ↑ Soysal, Mumtaz (1985). The Orly Trial, 19 February – 2 March 1985, Statement and Evidence Presented at the Trial. Ankara University, Faculty of Political Sciences. But the third element is the most important: there has to be "an intent of destroying", in part or in whole the said group. This key-description helps to differentiate between genocide and other forms of homicide, which are the consequences of other motives such as in the case of wars, uprisings etc. Homicide becomes genocide when the latent or apparent intention of physical destruction is directed at members of any one of the national, ethnic, racial or religious groups simply because they happen to be members of that group. The concept of numbers only becomes significant when it can be taken as a sign of such an intention against the group. That is why, as Sartre said in speaking of genocide on the occasion of the Russell Tribunal on the Vietnam War, that one must study the facts objectively in order to prove if this intention exists, even in an implicit manner. ↑ "Views Against Genocide Allegations". Republic of Turkey Ministry of Culture and Tourism. 12 October 2006. Retrieved 29 December 2006. ↑ Grenke, Arthur. God, greed, and genocide: the Holocaust through the centuries. 2005, page 58. ↑ Heather Rae. State Identities and the Homogenisation of Peoples. Cambridge: Cambridge University Press, 2002, p. 128. ISBN 0-521-79708-X. ↑ Vahakn Dadrian. "Ottoman archives and Denial of the Armenian Genocide" in The Armenian Genocide: History, Politics and Ethics. Richard G. Hovannisian (ed.) New York: Palgrave MacMillan, 1992. ↑ Akcam. A Shameful Act, p. 5. ↑ McCarthy, Justin. Death and Exile: The Ethnic Cleansing of Ottomon Muslims, 1821–1922. ↑ Lewis, Bernard. "Distinguishing the Armenian Case from the Holocaust", April 14, 2002. National Press Club on C-SPAN2's Book TV. ↑ Getler, Michael. "Documenting and Debating a 'Genocide'", Ombudsman Column, PBS, April 21, 2006. Retrieved October 9, 2006. ↑ Justin McCarthy, The End of Ottoman Anatolia, in Muslims and Minorities: The Population of Ottoman Anatolia and the End of the Empire, New York Univ. Press, 1983. ↑ Frédéric Paulin, Négationnisme et théorie des populations stables : le cas du génocide arménien, in Hervé Lebras (dir. ), L'Invention des populations. Biologie, Idéologie et politique, Editions Odile Jacob, 2000. ↑ Kemal H. Karpat, Ottoman Population 1830–1914: Demographic and Social Characteristics, Madiscon, WI: University of Wisconsin Press, 1985. See also Tableau indicant le nombre des divers éléments de la population dans l'Empire Ottoman au 1er Mars 1330 (14 Mars 1914), Istanbul: Zellitch Brothers, 1919. Foreword by Refet. FO 371/4229/86552. May 1919. ↑ El-Ghusein, Fa'iz (1917). Martyred Armenia. p. 7. ↑ Rainsford, Sarah (22 June 2006). "Fears of Turkey's 'invisible' Armenians". BBC News. ↑ "Turkey's Initiative to Resolve Armenian Allegations Regarding 1915". Embassy of Turkish Republic at Washington, D.C. Archived from the original on 30 July 2007. Retrieved 23 April 2007. ↑ "Minister Oskanian Comments on Turkish Foreign Minister Abdullah Gul's Recent Remarks". Armenian Ministry of Foreign Affairs. 4 November 2006. Archived from the original on 13 February 2012. Retrieved 23 April 2007. ↑ "WikiLeaks Publishes Robert Kocharyan's Letter to Prime Minister Erdogan". YerevanReport. 25 August 2011. 1 2 3 4 Yves Ternon. The "Lewis Affair" // Richard G. Hovannisian. Remembrance and denial: the case of the Armenian genocide. Wayne State University Press, 1998. ISBN 0-8143-2777-X, 9780814327777. Pp. 237–348. "The "Lewis Affair" began in the United States on May 19, 1985, with the publication, both in the New York Times and in the Washington Post, of an advertisement addressed to members of the House of Representatives. The statement was signed by sixty-nine academics in Turkish studies and sponsored by the Assembly of Turkish American Associations. Among the signatories was the name of Bernard Lewis, the Cleveland E. Dodge Professor of Near Eastern History at Princeton University." ↑ W. D. Rubinstein. Genocide: a history, Pearson Education, 2004. ISBN 0-582-50601-8, ISBN 978-0-582-50601-5. P.145 "This was an element in the so-called 'Lewis Affair', which occurred in 1985 when Professor Bernard Lewis of Princeton University, one of the world's leading experts on modern Turkish history, signed a statement addressed to the American Congress concerning the inclusion of the Armenian genocide in a proposed `National Day of Remembrance of Man's Inhumanity to Man`"
↑ Yair Auron. The banality of denial: Israel and the Armenian genocide. Transaction Publishers, 2004. ISBN 0-7658-0834-X, 9780765808349. Pp. 226–227 ""The Bernard Lewis Affair:" 1997" "The rationalization of the Armenian Genocide began to take root in Western academic circles in the 1980s, and was further strengthened by the hiring of Bernard Lewis at Princeton University. Lewis is one of the most prominent specialists on the Middle East — some would say the most distinguished historian of the Middle East. Lewis' stature provided a lofty cover for the Turkish national agenda of obfuscating academic research on the Armenian Genocide. <...> Later on Bernard Lewis reversed his position and changed the text. In 1985 he signed a petition to the U.S. Congress protesting the plan to make April 24, the day on which the Armenians commemorate the victims of the Genocide, a national American-Armenian memorial day, mentioning man's inhumanity to man. Lewis' signature was the most significant of sixty-nine signatures published. A two-page spread appeared simultaneously in the New York Times and Washington Post, financed by the Committee of the Turkish Associations." ↑ Richard G. Hovannisian. Remembrance and denial: the case of the Armenian genocide. Wayne State University Press, 1999. ISBN 0-8143-2777-X, 9780814327777. P. 224 "The Institute of Turkish Studies and its director. Heath Lowry, were instrumental in securing the signature of sixty-nine academics in Turkish studies, many of whom had been awarded grants by the institute, for an open letter published as an advertisement in the New York Times and the Washington Post, and read more than once into the Congressional Record." ↑ Smith, Roger W.; Markusen, Eric; Lifton, Robert Jay (Spring 1995). "Professional Ethics and the Denial of Armenian Genocide". Holocaust and Genocide Studies 9 (1): 1–22. ↑ Kenneth S. Stern. Holocaust Denial. Amer Jewish Committee, 1993. ISBN 0-87495-102-X. Рp. 86–87. ↑ The Psychological Satisfaction of Denials of the Holocaust or Other Genocides by Non-Extremists or Bigots, and Even by Known Scholars, by Israel Charny, "IDEA" journal, July 17, 2001, Vol.6, no.1 "In the immediate shock of the appearance of the new virulent form of double talk back in 1985, the Armenian Assembly of America rapidly undertook investigation of the academic records and especially the history of research grants received by the 69 signators (Armenian Assembly of America, 1987). The Assembly revealed first of all that a majority of the scholars were not specialists in the subject matter of the period of the genocide, and more importantly that a very large number of the signators were recipients of grants from Turkish government sources. Speros Vryonis(1993) has since reviewed the data and has similarly concluded that a considerable number of the signators, and their institutions, were direct recipients of research funds from Turkey." ↑ Israel Charny. A Passion for Life and Rige at the Wasting of Life // Samuel Totten, Steven L. Jacobs. Pioneers of genocide studies. Transaction Publishers, 2002. ISBN 0-7658-0151-5, ISBN 978-0-7658-0151-7. P. 456—464. ↑ Morgenthau, Henry (1918), Ambassador Morgenthau's Story, Garden City, New York: Doubleday, pg. 309. ↑ / Defense contractors join Turkish lobbying effort in pursuit of arms deals, Dec. 17, 2009, Sunlight Foundation. ↑ "Депутат парламента Израиля: "Считаю глубоко оскорбительными и даже богохульственными попытки сравнивать Катастрофу европейского еврейства в годы Второй мировой войны с массовым истреблением армянского народа в годы Первой мировой войны"". DAY.AZ. 28 March 2008. ↑ Contributor (25 February 2015). "Concert in Jerusalem to Commemorate Genocide Centennial". Asbarez.com. Retrieved 9 January 2016. 1 2 Bauer, Yehuda (1998). "The Place of the Holocaust in Contemporary History". In Roth, John K.; Berenbaum, Michael. Holocaust: Religious & Philosophical Implications. Paragon House. ISBN 978-1-55778-212-0. ↑ Imbleau, Martin (2005). "Denial". In Dinah Shelton. Encyclopedia of Genocide and Crimes Against Humanity. 1. Macmillan Reference. p. 244. ISBN 0-02-865848-5. ↑ Rae. State Identities and the Homogenisation, p. 127. ↑ "News : Press Enterprise". pe.com. 1 2 "State of Denial". splcenter.org. ↑ "Lying About History". splcenter.org. 1 2 Smith, Roger W.; Markusen, Eric; Lifton, Robert Jay (Spring 1995). "Professional Ethics and the Denial of Armenian Genocide". Holocaust and Genocide Studies. 9 (1): 1–22. doi:10.1093/hgs/9.1.1. ↑ "Armenian genocide denial: The case against Turkey". Cleveland Jewish News. ↑ Genocide Denial in the state of Denmark. Open letter by Torben Jorgensen and Matthias Bjornlund, World Association of International Studies, Stanford University, California. ↑ Akcam, Taner (2000-09-17). The long denied Armenian Genocide: Turkey's carefully forgotten history, Le Monde Diplomatique (original, for subscribers). 1 2 Sassounian, Harut. "Prof. Akcam Reveals Turkish Plan to Pay Scholars to Deny the Armenian Genocide." Asbarez. July 12, 2011. Retrieved July 27, 2011. ↑ ABC News. "International News - World News -". ABC News. ↑ "France Approves Armenian Genocide Bill". VOA. ↑ the CNN Wire Staff (23 January 2012). "French Senate passes Armenian genocide bill". CNN. ↑ "French Council Finds Bill Penalizing Denial Unconstitutional". Armenian Weekly. Retrieved 25 March 2013. ↑ Susan Ryan. "Sarkozy calls for new legislation on 'Armenian genocide denial'". TheJournal.ie. ↑ "Turk guilty over genocide remarks". BBC News. 9 March 2007. ↑ "Turkish politician fined over genocide denial". Swissinfo with agencies. 9 March 2007. ↑ "CASE OF PERİNÇEK v. SWITZERLAND". European Court of Human Rights. ↑ "Press Release, Grand Chamber decision". European Court of Human Rights. 15 October 2015. ↑ Akkoc, Raziye (15 October 2015). "Right to deny Armenian genocide upheld by European court in blow to Amal Clooney". Telegraph. Retrieved 9 January 2016. ↑ "Швейцарский суд наказал турок за отрицание Геноцида армян". ИА REGNUM. ↑ "... que la qualification de génocide, attribuée aux massacres perpétrés par les Turcs en 1915, n'était que 'la version arménienne de cette histoire.'" Herzberg, Nathaniel. Bernard Lewis condamné pour avoir nié la réalité du génocide arménien (French) ("Bernard Lewis Censured For Having Denied the Reality of the Armenian Genocide"), Le Monde, p. 11, June 23, 1995: Copy of article on private website. 1 2 Civil judgment finding Lewis at fault, 21 June 1995 (French); English-language translation of judgment on private website. ↑ Jouanneau, Bernard (4 October 2005). "Where the System Broke Down". Time Magazine. Retrieved 21 July 2008. (subscription required (help)). Encyclopedia of Genocide, ed. by Israel Charny, 1999. Güçlü, Yücel. Armenians and the Allies in Cicilia, 1914–1923. University of Utah Press: Salt Lake City, 2010. ISBN 978-0-87480-956-5. Güçlü, Yücel. The Holocaust and the Armenian Case in Comparative Perspective., Lanham, Boulder, New York, Toronto, Plymouth: University Press of America, 2012. ISBN 978-0-7618-5782-2. McCarthy, Justin A. The Armenian Rebellion at Van. University of Utah Press: Salt Lake City, 2006. ISBN 978-0-87480-870-4. McCarthy, Justin A. Death and Exile: The Ethnic Cleansing of Ottoman Muslims, 1821–1922. Darwin Press, Incorporated, 1996. ISBN 0-87850-094-4. Özdemir, Hikmet. The Ottoman Army, 1914–1918: Disease and Death on the Battlefield. University of Utah Press: Salt Lake City, 2008. ISBN 978-0-87480-923-7. Lewy, Guenter. The Armenian Massacres in Ottoman Turkey: A Disputed Genocide. University of Utah Press, 2005. ISBN 0-87480-849-9.